Over the past couple of weeks, I have started to get the ol' Star Trek itch. Every once in a while I actually want to play some PvE, and this time I wanted it to be some sci-fi. It seems I was still subscribed to STO, so I figured I may as well fire it up. There are a couple of reasons I wanted to play a little STO. Blowing up aliens is a given. Their Weekly Episodes have always intrigued me. Sure they are just quests but it is a steady stream of new content. I have heard some good things about them so I wanted to check it out myself. 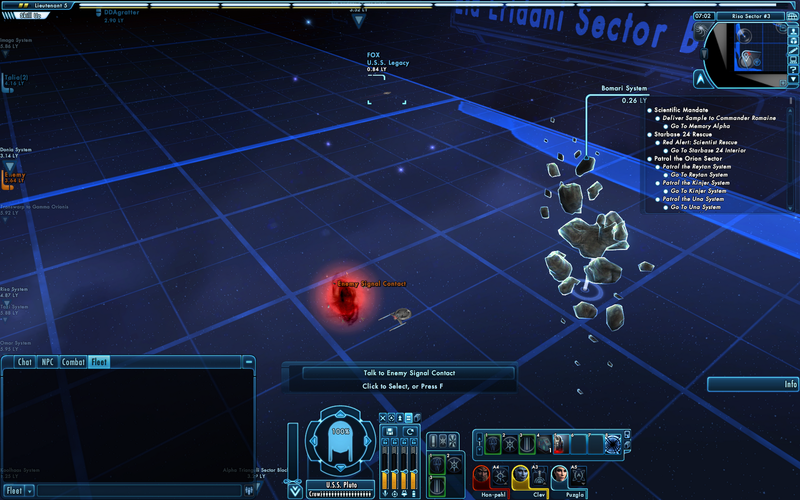 My STO character (Werit) was a very low level (Lt 4) and is not yet eligible for either of the Series. The current series starts at rank 6, so I should be there in no time. The first series starts at rank 10, but there is no rush to get on board that one. The quest lines remain after they are finished, but the special reward is only available while it is being run. The other reason is the upcoming Foundry system. It allows players to build their own missions for use by everyone. I am looking forward to seeing what players can come up with. One controversial aspect of it is a review system. I only have so much time, so if there is a way to bring the best content to the top of the pile then I am all for it. I've only logged a couple of hours so far, but it has been fun. Party management is something I enjoy which is missing from most MMO's. STO's version of the Public Quest (Fleet Actions) have also been fun. 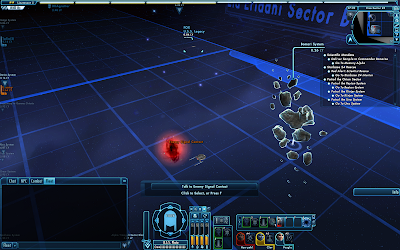 I went to the Starbase 24 Fleet Action did quite a bit of fighting. Still, there are some aspects of STO which I don't really care for. Combat is fun, at first. Maybe it is just my starship piloting skills, but fighting gets tedious pretty fast. The quests are also uninspired most of the time. I wish they took a page from TOR and used more cut scenes and voiceovers. I want to feel like I am in a Star Trek episode and the quest text boxes just don't convey that.